The very first and most important step is to import your crypto trading history. 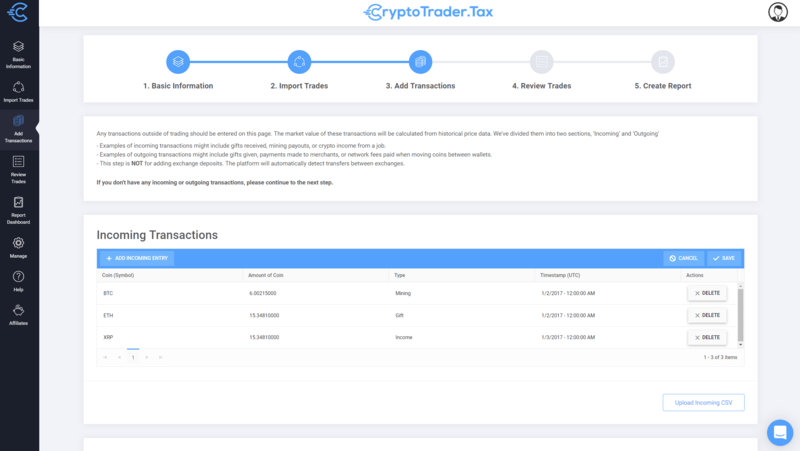 Our tool needs trading history across all of your exchanges and from previous years to accurately calculate your gains and losses. This doesn't apply to everyone, but in this step you will be able to add and report any crypto income such as mining, gifts, or even exchange rewards. If none of these apply to you, this step can be skipped.